Here at Robert B. Payne, Inc. we want to make sure that we educate you about the professional heating and cooling services that we offer so that you can learn a bit more about what it is that we do. Before you find yourself in need of a new furnace, there are certain warning signs that will alert you of developing problems with your furnace. We encourage you to inspect your furnace every now and then to see that it is still in working condition. 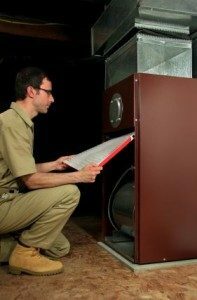 Should you ever experience any problems with your furnace, there are a few questions that you should ask yourself in order to determine whether or not you should repair your unit or think about replacing it entirely. How old is your furnace? Furnaces usually last anywhere from 16 to 20 years. If your furnace is older than two decades, it might be time for a furnace replacement. Are your gas and electricity bills going up? Higher gas and electricity bills might be an indication that you are either in need of new furnace installation or that your furnace is not as efficient as it once was. Have you had repairs done to your furnace in the past two years? If you find yourself having to make repairs to your furnace for two or more years in a row, then you might want to think about getting a brand new furnace. Rather than waiting for those hard-to-find replacement parts, you and your family will be better off installing an energy efficient heater. Are there any strange noises coming from your furnace? It is not unusual for older furnaces to start making odd noises as they age. Odd noises include squealing, popping, banging and rattling. Is your health okay? If you or anyone else in your home has been suffering from flu-like symptoms, nausea or a burning in the nose or eyes, then it might be an indication of a carbon monoxide leak from your aging furnace. We rely on a furnace to ensure our households are warm during wintertime and when the unit fails, there’s no time to waste. No heat means freezing conditions inside, and if temperatures outdoors are freezing, each minute without heat could lead to sickness or frozen pipes. You can stave off a winter emergency by opting for professional repairs or replacements. 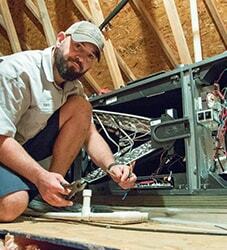 Furnace repairs are not something homeowners can do themselves. These are complicated systems, and an experienced professional is a must. 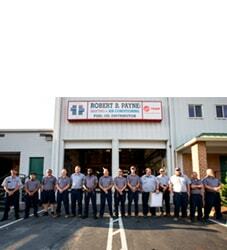 If repairs do not suffice, Robert B. Payne, Inc technicians will recommend a replacement. A replacement is a useful option when you’re paying too much for repairs each year. It’s a better investment all around. You see, a replacement furnace will provide energy efficiency, lower operating costs, and better warming capabilities throughout the entire household. It’s a smart move. Just give us a call to secure professional furnace replacement services! 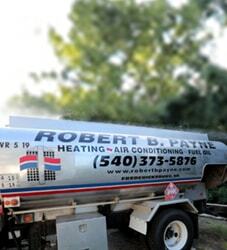 For more information about furnace replacement and furnace installation, call (540) 373-5876 to speak with a Robert B. Payne, Inc. technician, or fill out a request estimate form while you are here at our website.